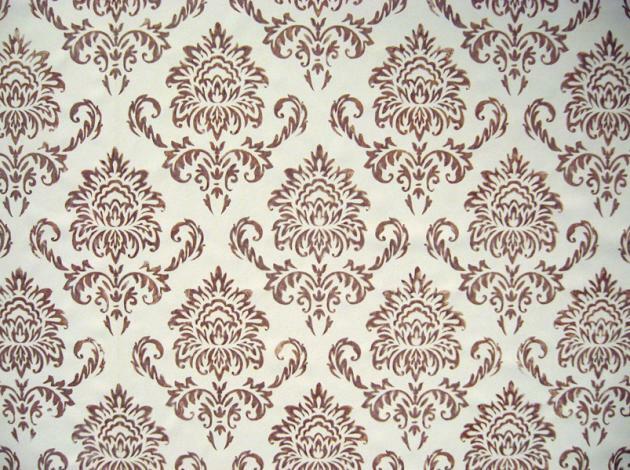 "Along with Morris's social awakening came a developing of his ideas for combining the skills of the artist with those of the craftsman, with equal recognition for the talents of both. 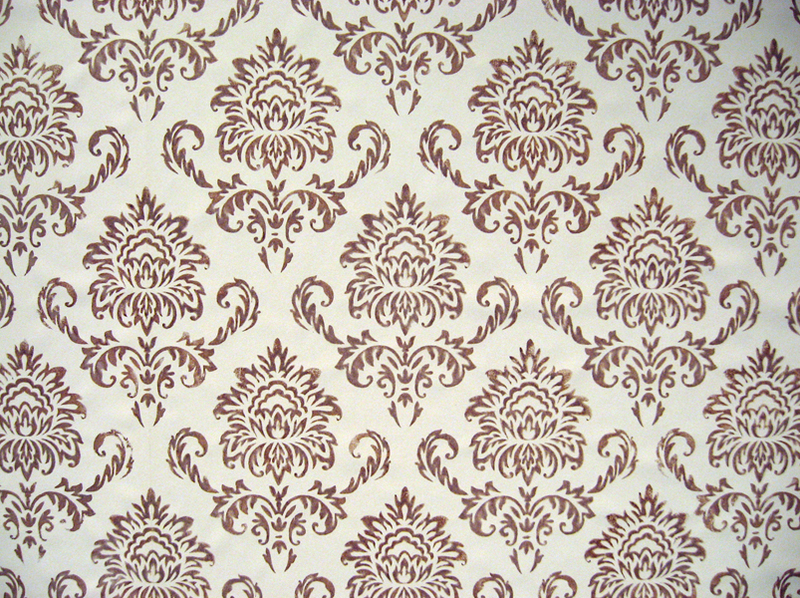 Though the term Arts and Crafts Movement was not coined until 1887, the main tenet of breaking down the hierarchy of art, which elevates painting and sculpture, above that of, traditional crafts and design, were championed by Morris, Burne–Jones, and Ruskin much earlier; some consider the Red House as being the first application of these theories. 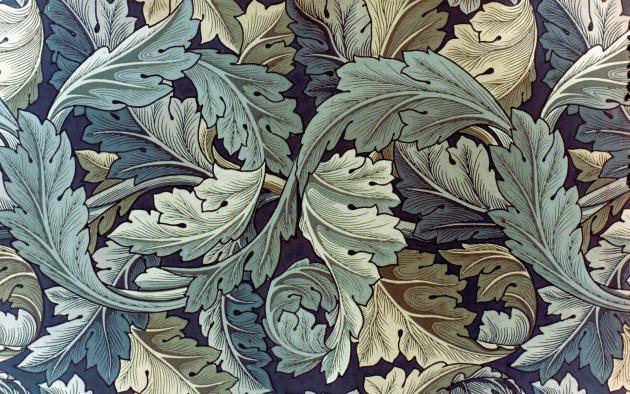 Key to the ideas of the Arts and Crafts movement was that artistic or beautiful objects should not be just for those who could afford them, Morris proclaimed, 'I do not want art for the few, any more than I want education for the few, or freedom for the few'." 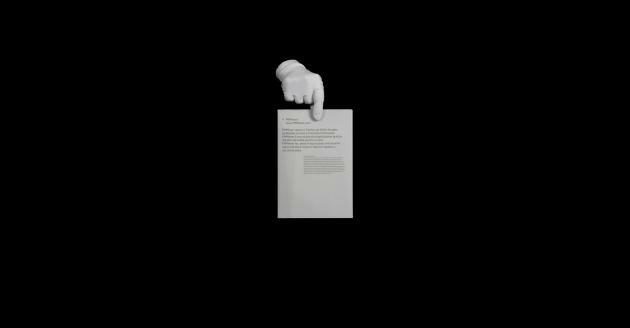 "Visitors have been encouraged to become more involved with the V&A website through a number of projects. This demonstration will focus on four of the more interactive elements of the site. Some of these features have already proved to be very popular, others are still in the trial stages – all of them provide excellent scope for further development. This Flash interactive was an extremely popular part of an Arts and Crafts exhibition microsite. 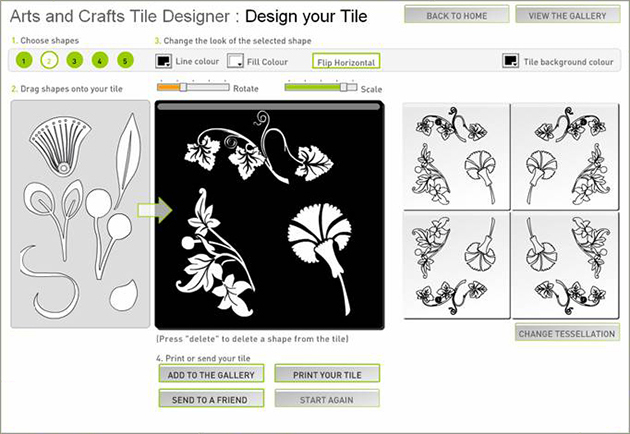 Users are able to design their own tiles by adding and manipulating patterns and defining colour schemes through an intuitive Flash interface. 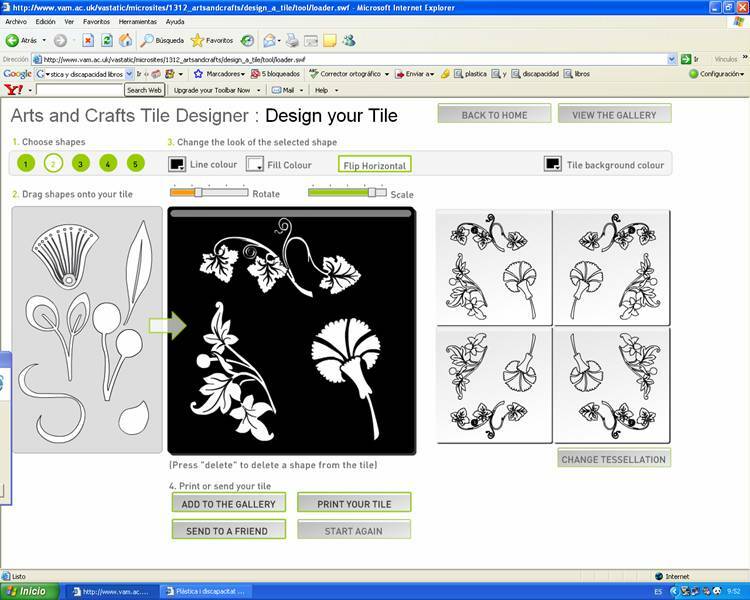 Finished tile designs are added to a gallery and, crucially, users are encouraged to comment on each other's creations."